The DP is an academically challenging programme of education aiming at developing the intellectual, social, emotional and physical well-being of students, and is highly valued by universities all over the world. The programme offers breadth and depth of knowledge through an international education that extends across national frontiers and aims at creating global, responsible citizens who recognize that people of the world share a common heritage that deserves respect. The development of the IB learner profile attributes is at the core of the IB philosophy. 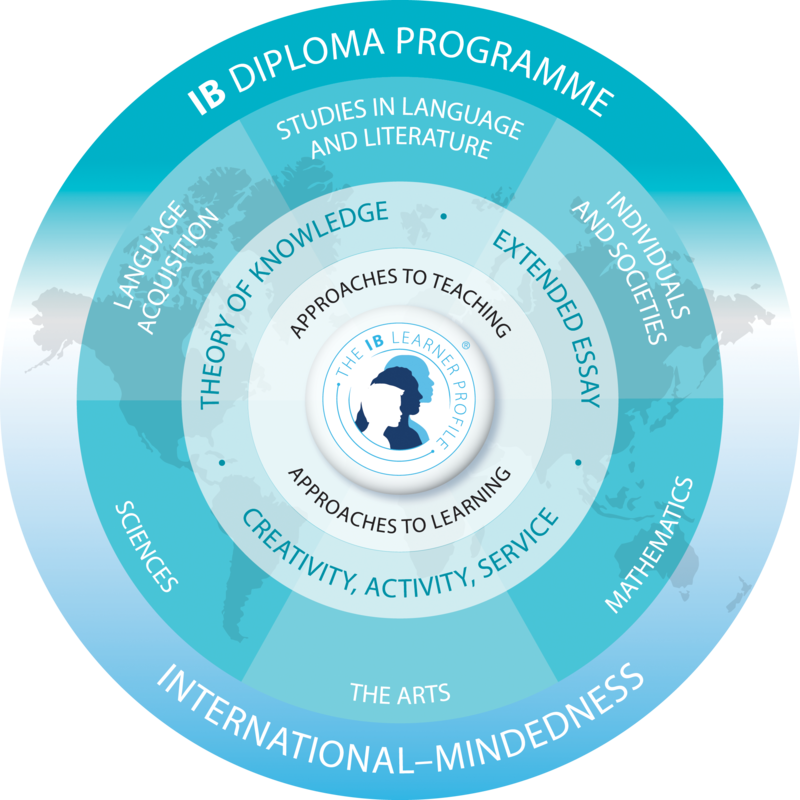 The International Baccalaureate® (IB) Diploma Programme (DP) curriculum sets out the requirements for study of the DP. The curriculum is made up of the DP core and six subject groups. Made up of the three required components, the DP core aims to broaden students’ educational experience and challenge them to apply their knowledge and skills.